We could have been looking at maybe only 1 or 2 loses if we had a legitimate back up center to begin the season with. The exciting thing is that we are putting up points but the offense doesn't look like its clicking yet. The ball dies a lot. We are a top 10 team in offense and there is still a lot of room for improvement. Just imagine what would happen to the flow if our PGs can hit their open shots. I forgot to add in that his work on the Offensive glass has been pretty incredible too. I am happy for the win and the defense among other things. But Ingram and Lonzo, as well as our shooting is concerning. Kudos to the Vets for stepping up and leading by example. Imagine being defended by Brandon with Mcgee or Tyson anchoring the backline. That is tough for any offensive wing player (see Buddy Heild). I am really excited at the potential of this team. Compared to the Cleveland vets from last year, our vets are a breathe of fresh air, I think Rondo still has another level he can get to with this team. Both JaVale & Tyson are really exceeding expectations. Amazing how Lebron gets 25-30 points game after game while playing at half speed most of his minutes. This entire team has another level or two that they have to reach in order to be a legit contender but the pieces are there for us to make a nice run into the playoffs. I think he does care. He's just a bit fragile mentally and goes into a shell when things start going wrong for him. Not sure who did that and still put up amazing stats? Maybe only Michael Jordan and Tim Duncan if I had to guess. yet we still won by 15. It's not a big deal as long as we bring today's defense to every game. FT shooting only matters if it's a close game. Man I thought Lebron was going to put some shades on and grab himself a drink with a umbrella in it standing out by the the 3 point line. But I will take a win against that team in Sac, giving up only 86 points. That’s significant for this team. Most impressed with the wins @blazers and @Sac. The Kings have been bludgeoning some teams. Their attack is no joke. 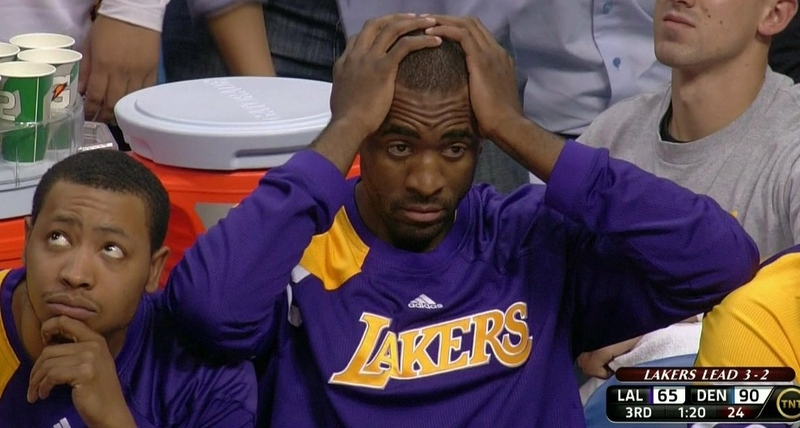 Lakers finally played well defensively. Hopefully we can build on this and continue to improve as the season progresses. Is it just me, or did anyone else find this game really boring for some reason?